Elgin Recycling provides customers with the convenience of five full service facilities including an iron yard and two truck scales. With a full time crew and machinery to handle the largest loads, just pull right in and let us take care of the rest. 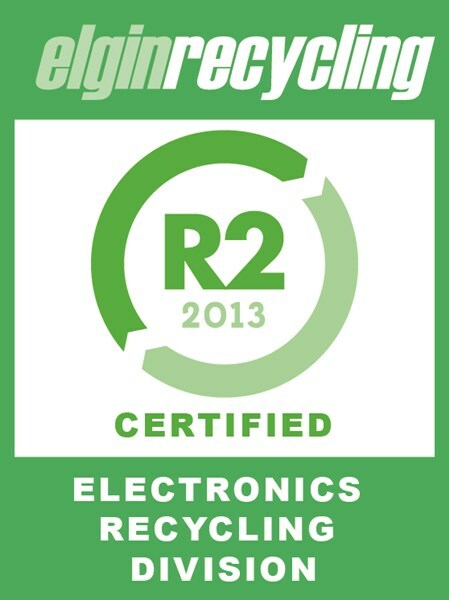 Elgin Recycling is dedicated to the proper handling of end-of-life electronics through our R2 Certified electronics facility. Ensuring information security, environmentally friendly material processing and employee health and safety. 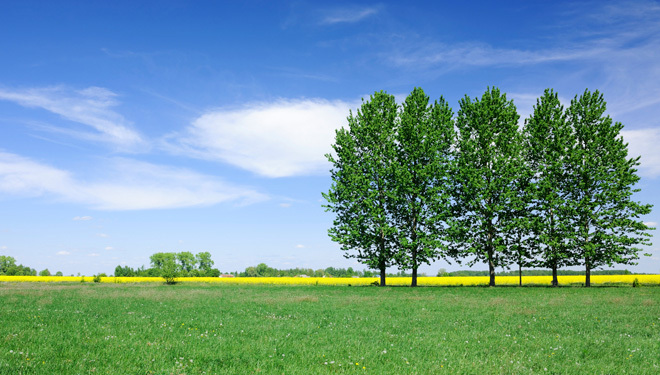 Here at Elgin Recycling, we are committed to the environment and are dedicated to educating the communities we serve about the importance of recycling. We believe recycling is everyone's responsibility and employ you to make the commitment as well. Elgin Recycling was founded on family, the community and an effort to stay green. We sponsor and participate in numerous events throughout the Chicagoland area and partner with many local organizations to help with recycling fundraisers. Join Elgin Recycling for a recycling extravaganza in Woodridge. 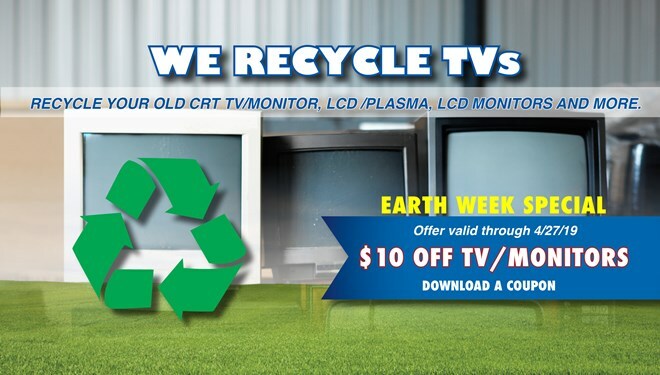 Cypress Cove Family Aquatic Center 8301 Janes Ave, Woodridge, IL 60517 TV/Monitor Recycling Fees Apply Under 21" - $25 21" and over - $35 Elgin Recycling coupons cannot be used at events. There are no blogs available at the moment. Whether you're a homeowner, a business owner, or a contractor, you may have to deal with having an excess of scrap metals and paper and plastic waste. Instead of simply discarding these, why not make sure they're properly disposed while also saving cash by bringing them to a recycling center? 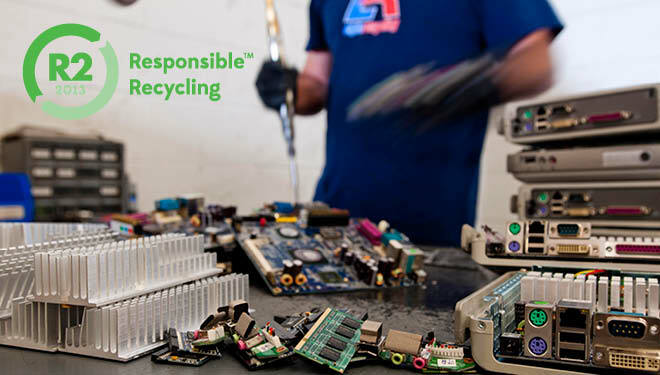 As a full service recycling center committed to providing homes and businesses in the Chicagoland area with a greener alternative to regular waste disposal, we also offer electronics recycling. Whether you've got End of Life computers, old batteries, or unwanted, out of order cellphones to recycle, our center can help you get rid of these otherwise difficult-to-dispose items – not all recycling companies are equipped to handle them. Elgin Recycling & Scrap Metal is an R2 certified recycling company. This means that we are equipped and trained to ensure the proper handling and disposal of End of Life electronics in our facilities. This covers environmentally-friendly material processing that prevents contaminations due to chemical leaks; keeps employees healthy and safe; and ensures information security when handling digital storage devices. With many locations to choose from, recycling with us is easy no matter where you live in the Chicagoland area. Have no way of bringing your recyclables to us? No problem. We offer full-service pickup and trucking for eligible loads. This service is especially useful for industrial accounts with multiple or heavy loads that need transporting. 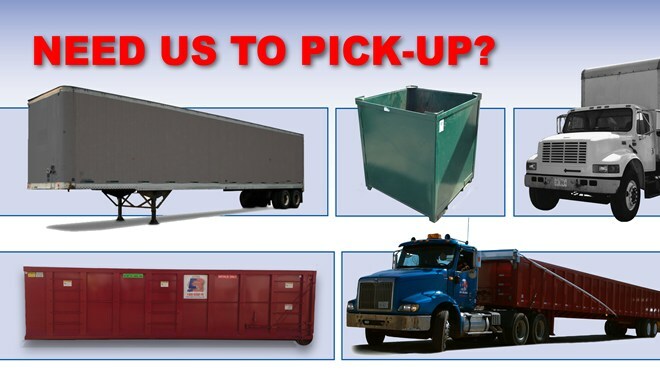 We can provide roll-off boxes, box trucks with lift gates, van trailers, gondolas, flatbeds, gaylords, and dump hoppers to suit your needs. Call us for more details on our pickup services. Better yet, request a quote and schedule a pickup online so we can set a pickup date for your recyclables today! Recycling and taking care of our environment is everyone's responsibility. 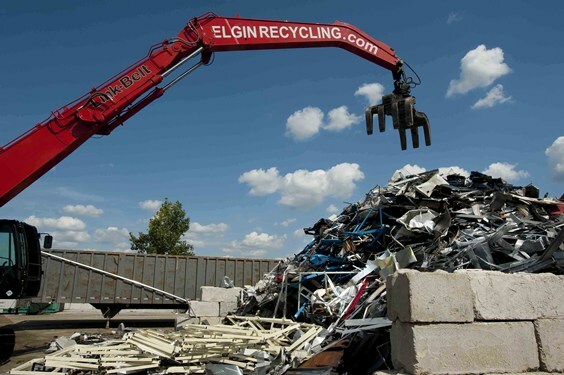 Do your part by making sure anything recyclable in your home, business, or construction site is processed properly through our recycling services here at Elgin Recycling & Scrap Metal.